Humble Bundle are offering the game Guns of Icarus Alliance for free, if you can claim it within the next day or so (which normally sells for $14.99 USD). 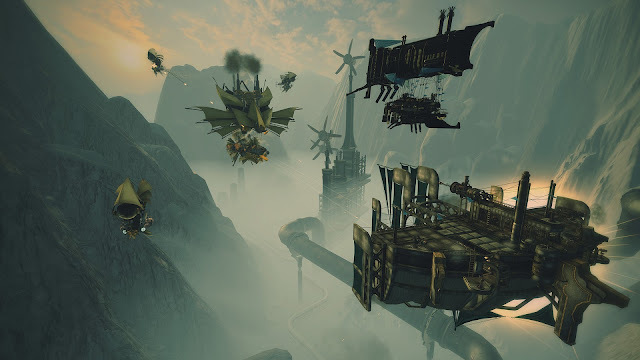 I played the game's predecessor, Guns of Icarus Online with my mates Choona and Luke, and it was actually quite a fun PvP steampunk co-op dirigible combat game where each person in the crew has a role to play, whether it be flying the airship, firing at enemies or repairing any damage taken. It seems that Guns of Icarus Alliance expands on the original concept by including the ability to play against AI, which means you can even play the game in single-player now if you want to. Definitely worth getting if you're into steampunk, flying airships or have a few mates who are looking for a new online co-op experience.